The St. Clair News-Aegis recently ran an article about St. Clair County Airport receiving a federal grant for drainage improvements. 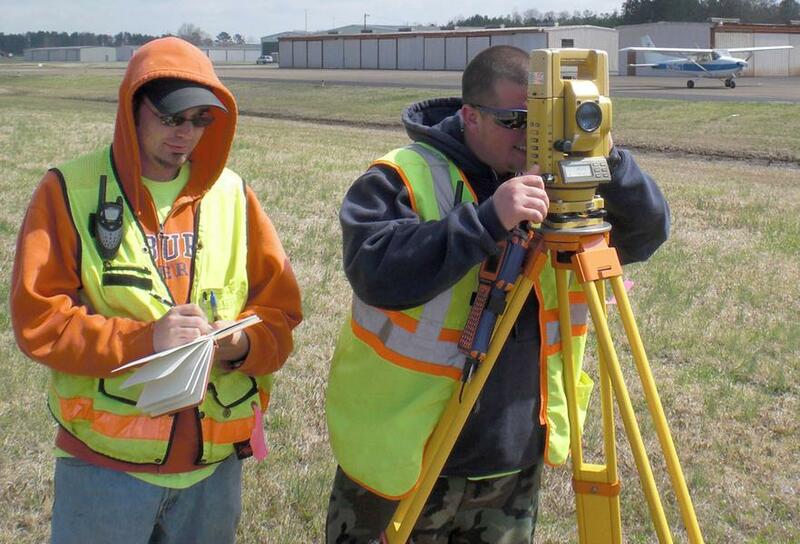 Garver surveyors Bob Hood and Stephen Few were photographed for the article as they performed a topographic survey at the airport in Pell City, Alabama. Over the years, Garver has provided numerous services to update and improve St. Clair County Airport, including the installation of Precision Approach Path Indicator systems, runway rehabilitation, new Medium Intensity Taxiway Edge Lights, access road and parking lot pavement, new apron, and land acquisition.